Hi all, sun tanning and skin darkening is one of the things that is a major concern for both boys and girls. I do not like when my skin gets tanned. This is because then my face looks darker and dull. 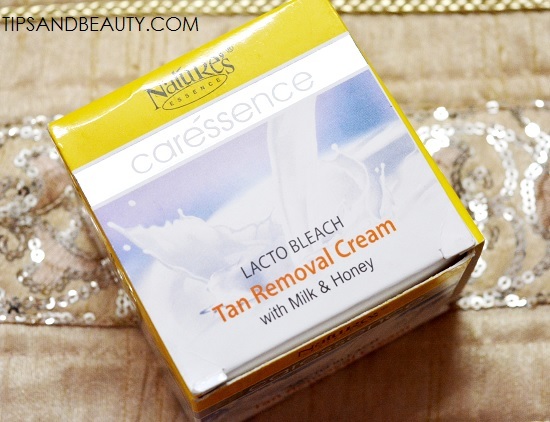 I will review this Nature’s Essence lacto bleach tan removal cream. 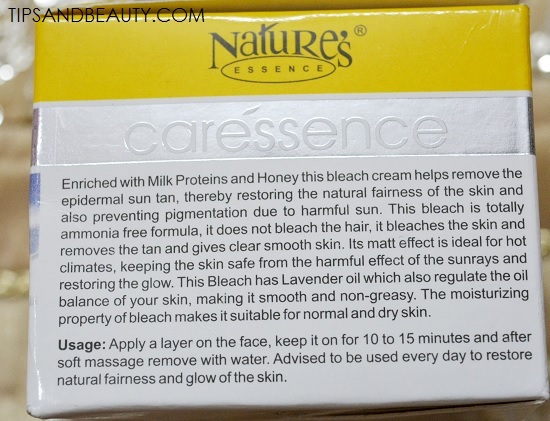 Earlier I had shared the review of Nature’s Essence lacto tan clear. So, this cream is basically is a cream bleach which is enriched with milk and honey. 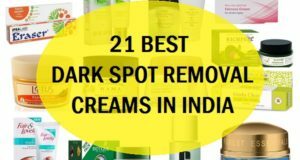 Even their tan removal cream was with milk and honey. 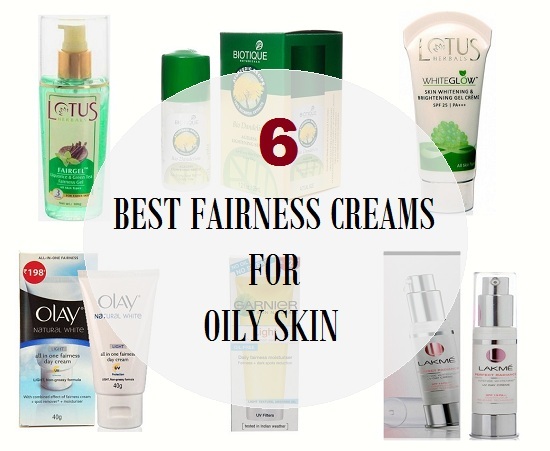 This cream removes the sun tan on the epidermal layer of the skin. 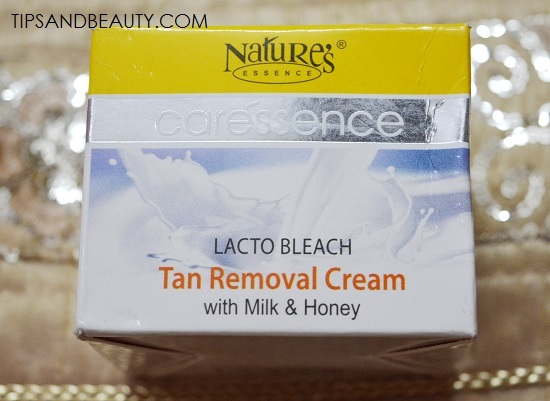 This tan removal product is said to be suitable for the dry to normal skin, so let’s see if this Nature’s Essence lacto bleach tan removal cream worth the money or not. This tan removal product is a product of Coloressence. Nature’s Essence is the skin care line of Coloressence while Coloressence has the color cosmetics. So, this product comes in a carton box in a round tub pack. All the details of this product is mentioned on the pack like how to use etc. But I noticed that they have not mentioned the complete list of ingredients used in this product. 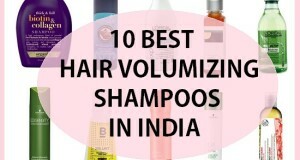 Only lavender oil, milk and honey as mentioned. Anyways, let me clear some doubts about this product. This is not a bleach first of all, so, this will not bleach or lighten the hair. Rather this is a cream pack that has to be used like pack then remove this. I still do not know why the company has named it a bleach. I think this is exactly same in the results as that of the Lacto tan clear which I had reviewed earlier, the only difference is the color of the cream. Okay, the cream smells good and not too strong. To use this, I will take some of my fingers like a teaspoonful of this cream will be okay. 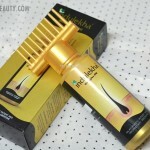 If I take 1 teaspoonful for the entire face then this product will last for around 8-10 uses. I will layer this as evenly as possible on my entire face. Then I will wait for 15-20 minutes. This will not give me dryness or rashes. Till the time this is on my face, I do not feel any irritation or anything like that. This feels good and no tingling or anything similar. I will wash my face after 15 minutes. I realize that this makes the face quite bright than before. Yes, this removes the sun tanning from face up to some extent and regular use will help to treat the sun tanning thoroughly. So, as I also said that this is not a bleach and brand has also mentioned that this can be used daily hence, this has nothing to do with bleaching and facial hair lightening. But still I do not use this daily but after 2-3 days. You can use this everyday while getting a shower but I will not recommend that. 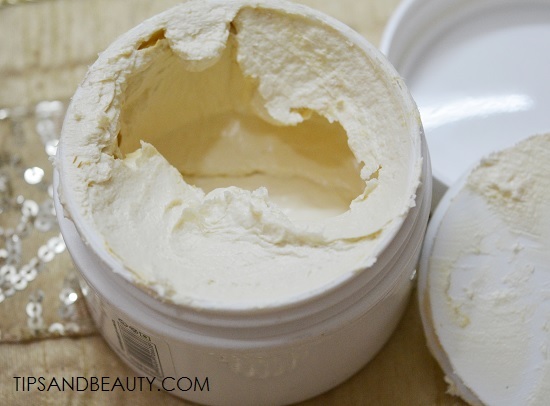 The cream is very affordable and can be used by men and women. The tub pack is a little unhygienic but still okay. I would have preferred the tube though. Washing this is also easy so no mess involved. There was no burning, tingling, itching or irritation while I had this on the face or post application. This really does fade or remove the sun tan but how much that depends from person to person. 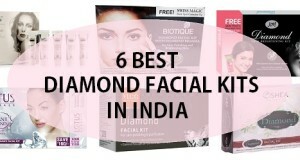 There are no breakouts after using this product. Availability is also not an issue. The list of complete ingredients is not there. Don’t know why they say this is a bleach when this is NOT. Nature’s Essence Lacto Bleach Tan Removal Cream is a very effective tan removal product for normal to dry skin. 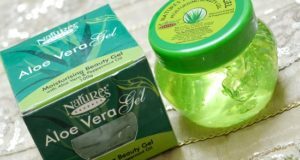 If your skin is dry then you can try this and to get rid of the sun tanning, skin darkening but I find this product to be similar as that of the Nature’s Essence Lacto tan which is only white in color and does exactly the same thing. 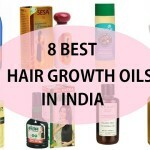 That has geranium oil hence that is more suitable for oily skin. 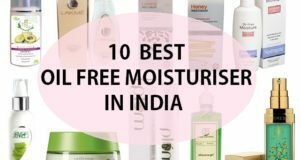 Price is also good and affordable so, do try this if you wish to get rid of the sun tanning else do read our tips to remove the sun tan from the face.